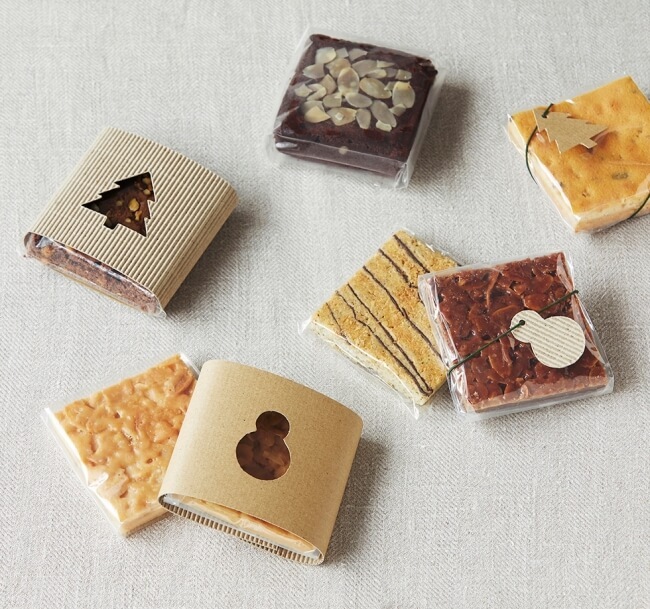 12 new snack flavors, perfect for making holiday season and valentine’s day gifts, are available at all MUJI stores in Japan and the online store from November 7, 2018. These twelve flavors, such as florentins or maccha gateau chocola, are scrumptious and filling, making wonderful gifts for the holiday season and valentine’s day. It comes in a clear package to show what is inside, and for sending as a gift, from Nov 30, MUJI stores will offer a free decorative gift cover or ribbon while supplies last. If you can’t decide what to give, just drop by MUJI stores to see good ideas.